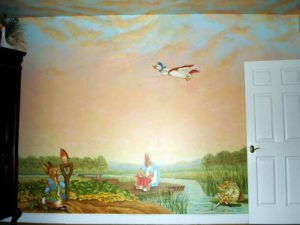 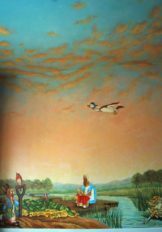 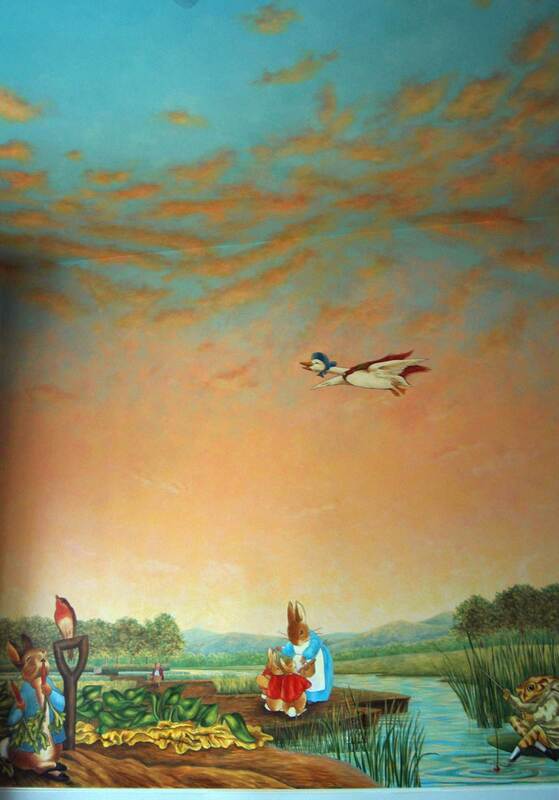 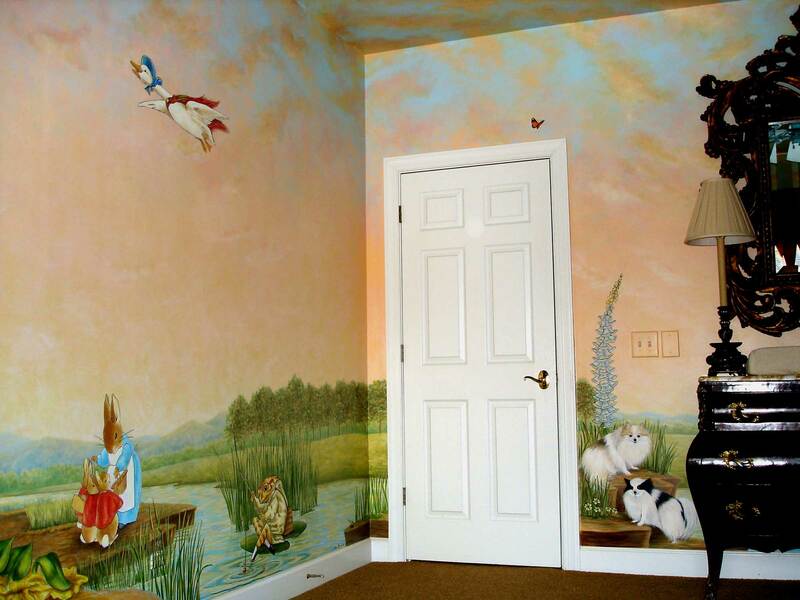 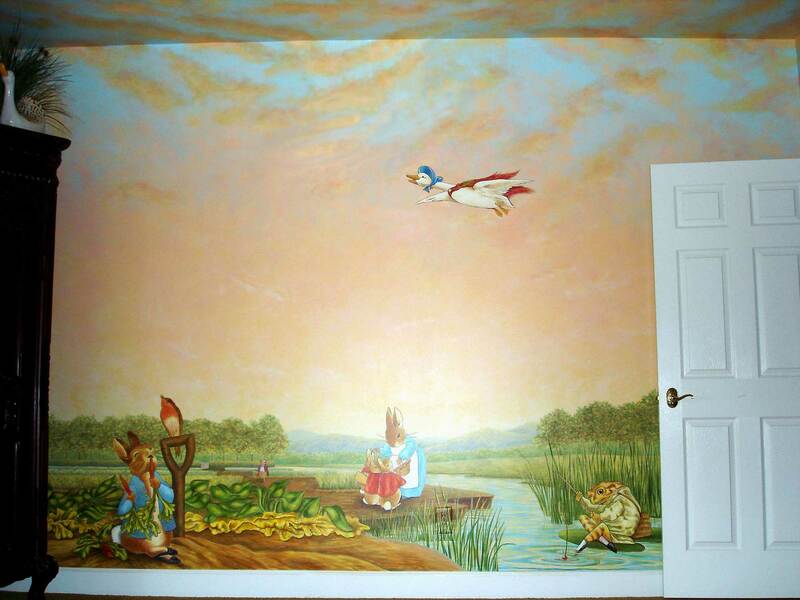 Inspired by the client’s favorite Peter Rabbit stories by Beatrix Potter, Megan’s mural features a sunrise sky spreading across the walls and ceiling, with a landscape background around all of the walls. 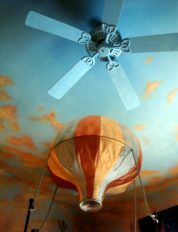 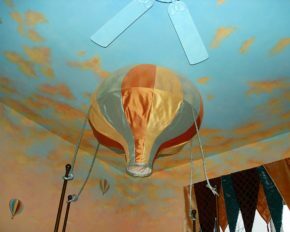 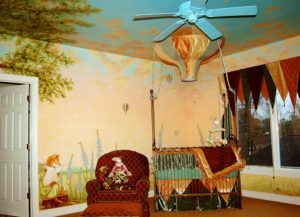 The four poster Venetian bronze crib has a silk 3-D canopy fashioned after a hot air balloon with its trompe l’oeil top painted into the ceiling. 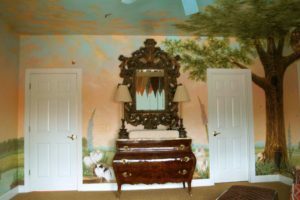 The fabrics supplied inspiration for the colors of the mural, while the finish and design of the furniture helped determine the intensity of the design. 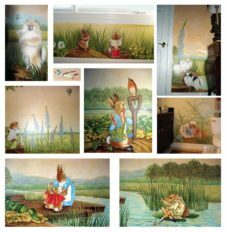 While the Peter Rabbit tales by Beatrix Potter are the inspiration for this mural, the characters have been enlarged, intensified and enhanced from the original softer and more sketch-like watercolor paintings in order to coordinate with the client’s tastes in decor. The mural also includes 3 of the family Pomeranians, as well as the characters Peter Rabbit, Flopsy, Mopsy, Cotton Tail, and Mother Rabbit, Jemima Puddleduck, Jeremy Fisher, Owl Brown, Squirrel Nutkin, Mrs. Tiggywinkle, Mr. Todd the fox, and mice from the Tailor of Gloucester.